Your Southport and St James Plantation NC Real Estate Source! 2821 Harborside Way, Southport NC from Jack Brandon Media on Vimeo. Thinking about selling your existing home? Welcome to our premier luxury real estate website serving St. James Plantation, Brunswick Forest and Winding River Plantation all located near Southport, NC. Are you thinking of buying a home in St. James Plantation? Have you heard of Brunswick Forest or Winding River? These amenity rich communities are all located in or near the Southport, NC area, just minutes from Wilmington NC and Myrtle Beach SC. Finding the right home can be a difficult process, but no matter what you are looking for, as experienced luxury real estate brokers, we can provide you with the resources you need to make the home buying process simpler. From specific community and neighborhood information, to tools to estimate your mortgage payments, and buyer resources and articles that will help you through the home buying process. 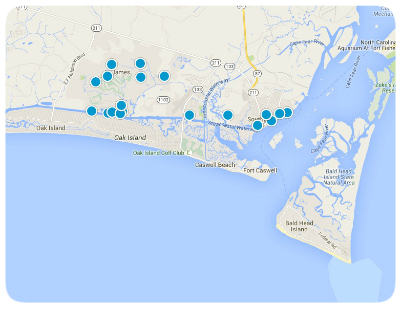 Thinking about selling real estate in one of the premier communities located near the Southport, NC area? No matter which market you're in, you can take advantage of our proven marketing programs and the experience of a Certified Luxury Home Marketing specialist like Debby Daigle and Winnie Josias. We are here to help you sell your home quickly and at the right price. Learn more about our services under the Sellers tab, see information about recent home sales under the search tab or contact us to get started today! Are you interested in Luxury homes located in St. James, Brunswick Forest or Winding River? Please take a minute and browse our Community tab offering details on some of the most popular luxury communities in southeastern NC. Thank you for visiting www.choosetheballoon.com. This is a one-stop real estate website for all your luxury home buying and selling needs for St. James, Winding River and Brunswick Forest. We are professionals who will help make your search for a new home or the sale of an existing home an enjoyable experience. And, we don't disappear when the deal is done. We are always there as a resource to connect our clients with referrals on related services from mortgage brokers to plumbers, and just about anything in between. We know that buying or selling a home is a big decision. We are here to make things easier! Please feel free to contact us directly if you have any questions about buying or selling a home in the St. James, Winding River or the Brunswick Forest communities, located in or near Southport, NC and southeastern NC.